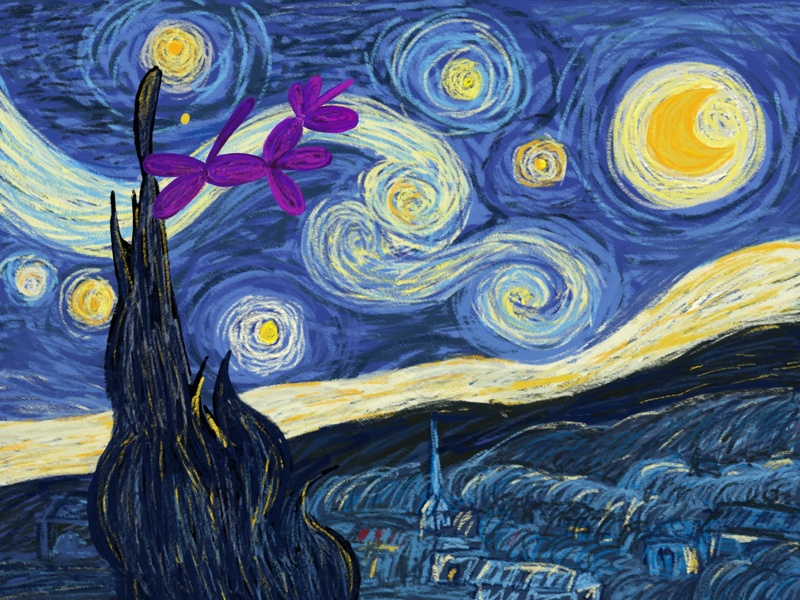 Starry Night meets Chuffles. It’s nice to hang out with Vincent van Gogh. I also eventually want a print of this. Lovely thought, execution, and dream.